It is a well known fact that T.I. & Tiny were considered the dream team. From my standpoint, many looked up to their love and their relationship making them #relationshipgoals. As onlookers, we were able to witness their highs and lows, career altering moments, multiple births, and what it was like to live a love life through the public eye. Of course, there are many couples that have been in “marriage” longer, but truthfully, those couples are not as “public” in my opinion. Look at Oprah & Steadmon, Will & Jada, Jay & Bey, Angela Bassett & Courtney B. Vance (just to name a few). We LOVE their LOVE, but we don’t see or hear much of it. Why? I have come to the conclusion that many of us realized many moons ago that less is more! 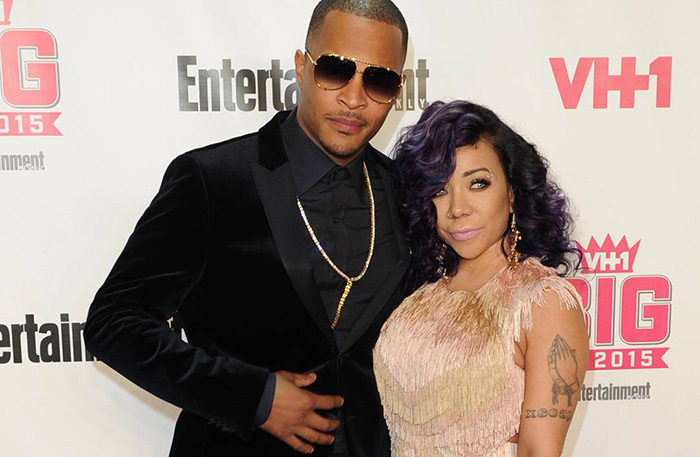 However, we should and could learn so much from T.I & Tiny. Here are some important practical lessons that I got from it all. Being in the spotlight isn’t all it’s cracked up to be! We LOVE reading about it, but living it is a whole other story. There are valuable moments that are sacred; sometimes, less is more. The less people know, the less they can comment on your affairs. T.I. & Tiny are people like everyone else – living their relationship drama (which is inevitable) in front of the world can’t be easy! The commentators, spectators, and criticism is real. Privacy is very necessary to maintain a level of intimacy! Divorce doesn’t happen overnight! In life we have issues, and if anything is left unchecked for a large enough time, it is bound to tear your relationship apart. Of course, work, family, and the hustle is important – but investing in your marriage or relationship alone is essential before the fallout, making meaningful investments matter. Love isn’t enough! I know we like to think that it is, but here’s a truth moment…it is not. The love that you have for a person will not keep you in it to win it. There are many other components to a relationship. Trust, communication, stability, honesty, loyalty, respect etc. are just as important as the love! With every action a person makes it counts towards the deposits or withdrawals. Make more withdrawals than deposits and well, it’s a recipe for disaster. People grow and change daily! Growth is a vital part of life, but growing together isn’t always easy! Being in a relationship requires effort, commitment, change, sacrifice, and many adjustments. Communication of relational changes are required to sustain one another; because let’s face it, no one is a mind reader. No one wants a stubborn person, or immature person. In order to elevate you have to grow; the trick is not growing apart as you grow!! Lastly, money isn’t everything! No matter how much money a man or women has, it will NEVER trump the connection and relational investment. Gifts mean nothing without the proper investments! Simple. A woman wants to to be valued, loved, and made a priority, just like a man wants to be respected, cuddled, and desired. Above all the money, fame, and material goods – nothing will trump a man being a man and a woman being a woman! Ultimately, I learned much more than this, but these are just a few. They are right up there with honoring your vows, setting good examples for your kids, allowing your partner to grow and propelling them to be better etc. I am sad by their split because 17 years is a long time to have to conclude. It is my hope and belief that they will remain friends despite the relationship failure because the history, love, and friendship is there. They are incredible people and wonderful parents! I wish them well; but let us learn from some of their mistakes. Idolize no one, because you never know what is between a man and a woman!